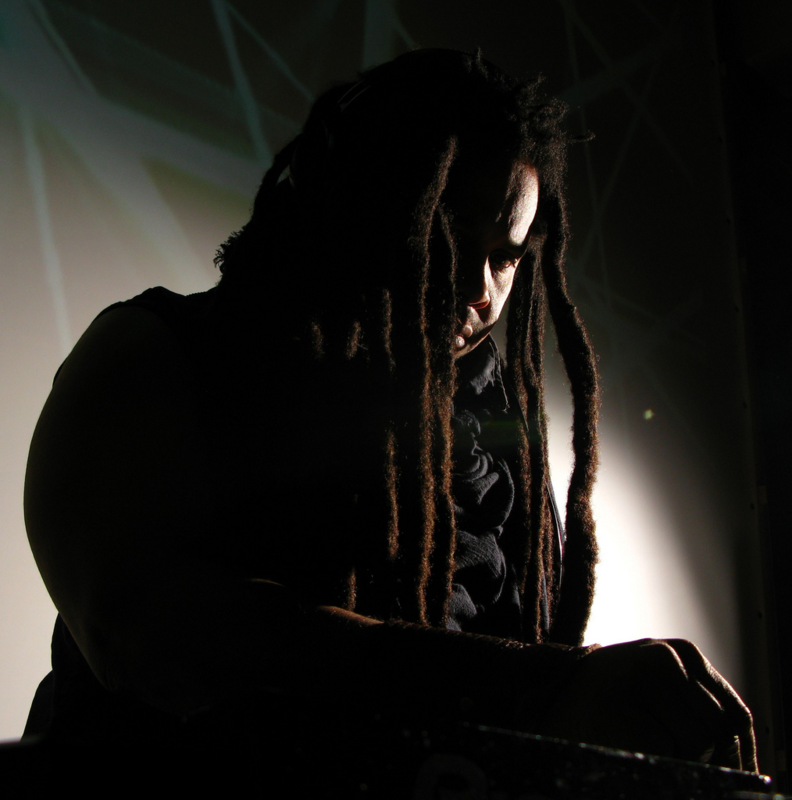 A review of Hieroglyphic Being’s "The Disco’s of Imhotep"
One of the most striking motifs found in The Disco’s of Imhotep, the newest album by Chicago musician Jamal Moss (stage name Hieroglyphic Being), isn’t musical at all: it’s a single word. “Kmt,” a simple anglicization of Egyptian hieroglyphs, is scattered throughout Moss’s discography. Here, it lends its name to “The Sound of KMT,” but earlier this year it served as the title for a collaborative album with his cousin Noleian Reusse in a project called Africans with Mainframes. Kmt (sometimes spelled “kemet”) has nearly as many meanings as Moss does aliases. It serves as the name of Ancient Egypt as a whole, for one thing, but the basic hieroglyph at its core, km, also connotes darkness, blackness (in the form of “Crocodile Skin”—also the title of a track on Disco’s). But if the aforementioned definitions weren’t enough, there’s often one more: termination, an ending symbolized by burnt charcoal. This doesn’t necessarily apply to the tracks of Disco’s: they don’t have beginnings or endings so much as start and end times. Songs fade in and out, but you can imagine the jams they were excerpted from spiraling out for hours in either direction. But in this respect, “kmt” is an apt metaphor for Moss’s career: he’s been focused on his sound for years, and in all likelihood, he’ll be focused long after the tastemakers have moved to shine the light on someone new. But it’s this dedication that makes Disco’s one of the most rewarding techno listens in recent memory. The recent acclaim Disco’s has received has been a long time coming, of course. Since the turn of the decade, hardly a year has passed without several of Moss’s full-lengths hitting record shops—and even when not shuffling pseudonyms, he can be found speaking at panels, touring, or maintaining his Mathematics imprint. It’s enough to prompt Discogs commenters to wonder where he finds the time to sleep. So it’s with good reason that at this point Moss has earned a reputation as an innovator in Chicago electronic music; it’s hard to point to another artist producing anything of the same quality with the same frequency of release. The side-chained chimes of cuts like “The Shrine of the Serpent Goddess” might evoke artists like Actress (now a labelmate of Moss’s at Ninja Tune), for instance—but from its intricate percussion to the squealing synths, Disco’s is unmistakably a Hieroglyphic Being LP. Much has been made of Disco’s gritty soundscape, from the tape hiss to the clipping kicks. But it’s hard to overstate how good a decision this is: what the album loses in accessibility, it gains in sheer dynamism. Some of Moss’s peers—that is, lo-fi revivalists who conflate understatement with poignancy—record music that is frustratingly distant, as if the listener were sitting on the curb outside the club. But listening to “Nubian Energy,” in contrast, is like listening to a subwoofer with a stethoscope. It’s anti-background music; it commands attention. It’s for this reason that Moss’s description of Disco’s as “Sound Healing,” a claim made in the album’s press release, is initially a surprise. Doesn’t “healing” belong with burnt-out hippies or helicopter parents convinced that Mozart makes babies smarter? Yet the case Disco’s makes is not for the therapeutic, but for the cathartic. It’s a vision for healing in rhythm, in dance. And at a time when music is both weaponized (the “enhanced interrogations” of Guantanamo Bay) and commodified (the furniture music of your local H&M), it’s a more powerful statement than ever.